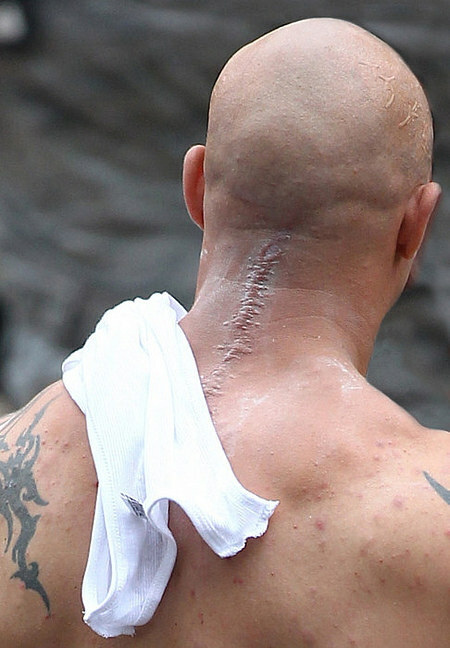 How about this cool and up close behind-the-scenes image from THE DARK KNIGHT RISES showing Bane's (Tom Hardy) neck scar revealing a little more about his painful past and history. Not only do we see the huge scar on his neck but it looks like he has some protruding veins on the side of his head as well. Let us know what you think about this picture!